Some will blame baseball’s unwritten rules, the sport’s ingrained system of on-field justice, for last night’s disgraceful display at Chavez Ravine. They will decry the eye-for-an-eye mentality, the brutal delivery of fastballs and the ugly results of the punch-throwing scrum in the seventh-inning. What they will not acknowledge is that baseball’s unwritten rules exist precisely to avoid this kind of confrontation. 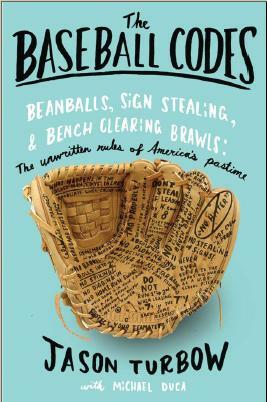 Because Tuesday night’s throwdown between the Dodgers and Diamondbacks was a study in what not do during the course of a baseball game as it pertains to baseball’s Code. Retaliation for an incidental drilling—especially one so incidental that it required umpire intervention to confirm that it even happened—is simply not necessary. This was the state of affairs after Cody Ross was grazed by a Zack Greinke pitch in the fifth inning. Regardless, that blow should have ended hostilities. Kennedy drilled a Dodger in a wildly inappropriate manner, and Greinke responded according to the Code. It wasn’t enough to settle Kennedy down, however. In the bottom half of the seventh, he threw his first pitch to Greinke—another 92-mph fastball—directly for the head. Greinke ducked and the ball glanced off his upper shoulder. Reliever J.P. Howell charged at Diamondbacks assistant hitting coach Turner Ward and nearly flipped him over a railing near the on-deck circle. Puig appeared to land a tomahawk swing on Diamondbacks’ bench player Eric Hinske. Dodgers hitting coach Mark McGwire looked apoplectic as he exchanged words with Diamondbacks manager Kirk Gibson and third-base coach Matt Williams. Even Dodgers manager Don Mattingly got in on the action, wrestling Diamondbacks bench coach Alan Trammell to the ground. Only two things happened as they should have. First was Dodgers catcher Tim Federowicz jumping in between Montero and Greinke after the former was drilled in the seventh. (It was the inability of the Dodgers’ other catcher, A.J. Ellis, to do that very thing that allowed Carlos Quentin to reach the mound during the April brawl that ended with Greinke’s collarbone broken.) The other was Greinke, on first base after being drilled, responding by trying to take out Arizona shortstop Didi Gregorius with a hard slide at the front end of an attempted double-play—just like they used to do in the old days. (Greinke ended up getting a no-decision in the Dodgers’ 5-3 victory. Watch it here.) Ultimately, the primary takeaway from this unfortunate state of affairs was that Ian Kennedy threw two pitches at opponents’ heads in a two-inning span. The guy has already proven willing to harbor ill-will against the Dodgers, throwing two pitches at Clayton Kershaw last season in response to a year-old grudge. Even more pertinent is the fact that he seems to enjoy this kind of thing. Last year he led the National League with 14 hit batters, even with otherwise good control—he walked only 55 over more than 200 innings. The Dodgers will get theirs, at some point. In the interim, MLB will certainly step in and get some of its own. Had the unwritten rules worked as intended, none of it would have been necessary. Update (6/14): Suspensions have been handed down. As expected, Ian Kennedy got the worst of it. Love your blog! There’s no way the Puig thing was intentional. They had pitched him high and inside all night — if you look at the pitch, Kennedy’s mechanics were off. Even if you remove intent from the equation, Kennedy had no business going after Greinke for responding to it. I don’t know enough about Kennedy’s mechanics to be able to spot something amiss, but the guy walked two hitters all night; to miss his target by that much is, at the very least, highly suspicious. Gotcha. And like you said, it’s not like Kennedy doesn’t have a history of hitting players. 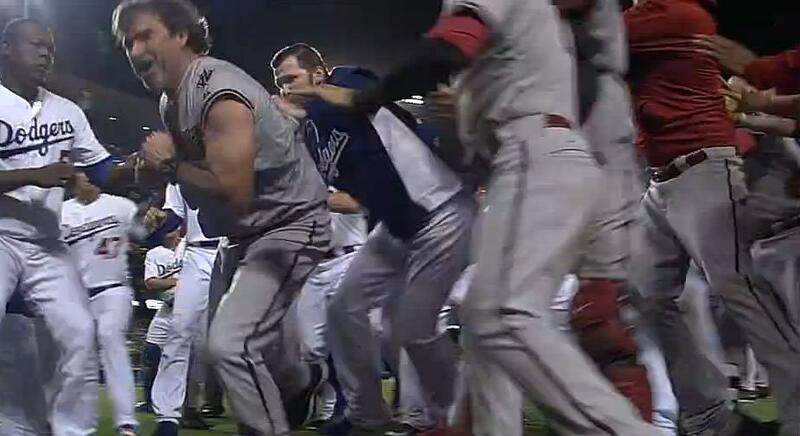 A question I had: what does the code say about players attacking coaches when the benches clear? In the Pedro/Zimmer situation, Zimm was the one coming at him (even if Pedro could have pretty obviously avoided it), but here Howell was just bullying a man twenty years older than him. Assuming that Ward didn’t do something completely egregious off-camera to instigate, would the code find Howell especially wrong for doing that to a coach, rather than going after a fellow player?